The District of Bad Kreuznach welcomes and supports efforts to promote the region. This presentation by Dr. Hans H. Stassen is a useful reference for all interested parties, especially for schools. It gives a good overview and contributes towards raising awareness of our charming Nahe landscape and its products. 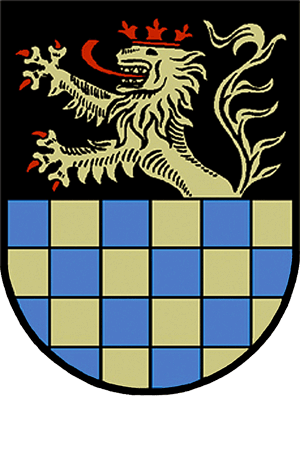 The District of Bad Kreuznach is not a uniform geographical unit, but encompasses a wide area of the middle and lower Nahe region, which is completed by the southern part of Hunsrück with the Soon forest and the Lützelsoon. Changing elevations with forests, farmland, pastures, and rocky vistas distinguish this cultural landscape, which is thousands of years old. Valuable finds of Celtic and Roman origins, as well as impressive historical monuments from the Middle Ages and the Renaissance, can be found here. The district of Bad Kreuznach has an excellent climate. This is well demonstrated by the long "green" season there. For example, the beech trees in the lower Nahe usually turn green about April 20th and only start losing their leaves around November 20th This is almost two months longer than in the Idarwald and Hochwald forests 50 kilometres to the west.